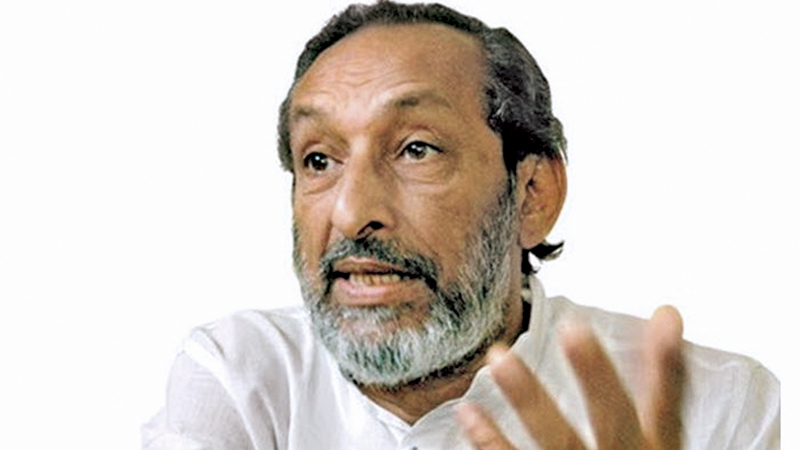 The Joint Opposition Parliamentarian Vasudeva Nanayakkara said he was not supportive of former Defence Secretary Gotabhaya Rajapaksa’s Viyath Maga programme. The Viyath Maga is not (our path) Nanayakkara said responding to a question raised by a journalist about the programme at the Socialist Alliance Press Conference held at the N.M.Perera Memorial Centre, Borella yesterday. Nanayakkara said he could not agree with the views expressed by some speakers at the recent Viyath Maga conference and said several in the joint opposition agree with him. The Parliamentarian said former President and Kurunegala District MP Mahinda Rajapaksa should be made the Prime Minister. He said the President should decide in this regard. Nanayakkara said the economic policies of the government have failed and people are undergoing many difficulties . He said that under a JO government, the economy will be resurrected and people’s living standards improved.